8/23: Blog tour stop for The Keep of Ages (Vault of Dreamers #3) by Caragh M. O'Brien (Roaring Brook Press) + giveaway! Welcome back to the blog tour for The Keep of Ages by Caragh M. O'Brien, the third book in the Vault of Dreamers trilogy. Read on for Caragh's favorite sci-five novels, and a chance to win the complete series! Remember, The Keep of Ages ​is now on sale! Welcome to Day #6 of the Keep of Ages Blog Tour! 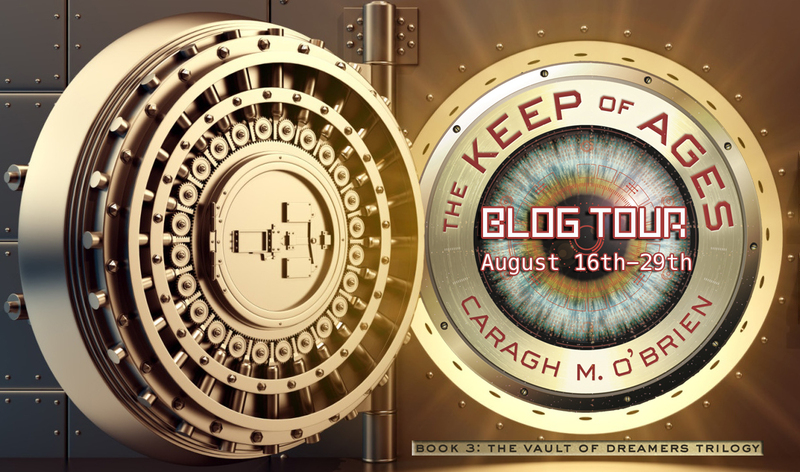 To celebrate the release of The Keep of Ages (Vault of Dreamers #3) by Caragh M. O'brien (8/29/17), blogs across the web are featuring exclusive content from Caragh and 10 chances to win a complete set of The Vault of Dreamers Trilogy! It may not be surprising that many of my top 12 favorite sci-fi novels happen to be dystopian novels. In the fast-paced, high-stakes conclusion to Caragh M. O'Brien's Vault of Dreamers trilogy, Rosie travels to a derelict theme park to shut down dream mining once and for all. Driven by fear when Dean Berg kidnaps her family, Rosie Sinclair strikes out across the country to rescue them. When an elusive trail leads her to Grisly Valley, the contaminated ruin of a horror theme park, Rosie has to consider that Berg may once again be manipulating her every move to make her fearful, priming her for a final, lethal dream mining procedure. As Rosie struggles to outmaneuver Berg, she unearths the ultimate vault of dreamers and the hint of a consciousness more powerful and dangerous than any she's imagined before. Faced with unspeakable suffering and otherworldly beauty, Rosie must discover how to trust her mind, her friends, and reality itself. 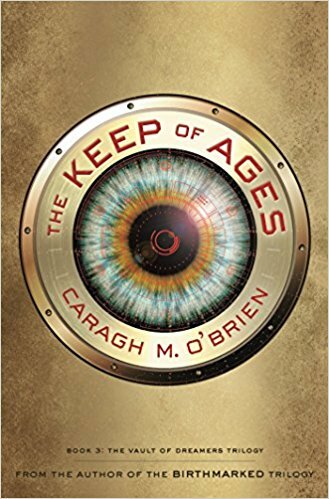 Propulsive and deeply speculative, The Keep of Ages concludes the Vault of Dreamers trilogy with stirring possibilities for what it means to be alive. 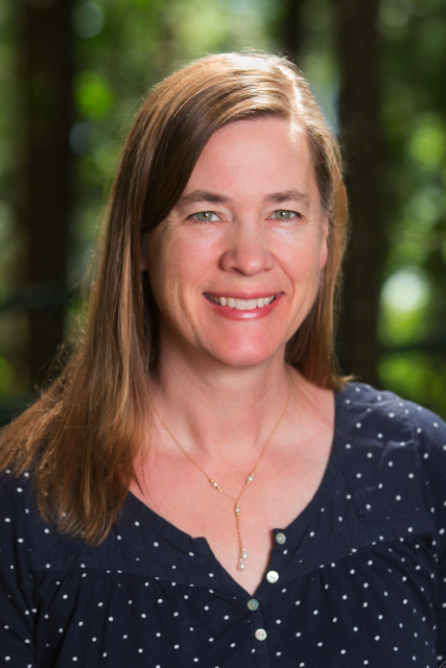 About the Author: Caragh M. O’Brien is the author of the BIRTHMARKED trilogy and THE VAULT OF DREAMERS series, both from Macmillan/Roaring Brook Press. Born in St. Paul, Minnesota, Ms. O’Brien was educated at Williams College and earned her MA in the Writing Seminars from Johns Hopkins University. Her young adult science fiction has been honored by the YALSA Best Fiction for Young Adults, the Amelia Bloomer Award, the Junior Library Guild, and numerous state reading lists. A former high school English teacher, she now writes young adult novels full time from her home in rural Connecticut. ​Thanks to our friend at Media Master's Publicity/Macmillan, you have the chance to win a full set of The Vault of Dreamers. Just comment below - US ONLY. Ends 09/01. I have read her other books and really enjoyed them, so it would be wonderful to read these! These covers are amazing! Some of the best I've ever seen. I think this series sounds exciting to read and I love that I have to chance to binge read through it. Thank you for the chance to win copies! This series has been on my to-read list for a while and I would love to win! I loved Caragh O'Brien's Birthmarked series, so I'd be excited to win this one! I shouldn't like my dreams to be mined! The ore refining process would be just too difficult and expensive! These books look amazing. Thanks for the chance. I loved her other trilogy, so I am super excited to try out her new trilogy!